While the subject of storage appears to be somewhat mundane to an Exchange Administrator, there is no denying that all messaging servers rely heavily on disk storage. A proper understanding of one’s storage considerations is hence crucial in putting together a well-architected Exchange infrastructure. This may range from data redundancy, adequate allowance for capacity expansion, storage performance and the cost of various storage options. It is worthwhile to note that the use of optimization techniques within Exchange also have a tangible impact on overall usability and performance. The focus today though, would be on the more hardware-centric side of the storage equation and how they can contribute to a well-oiled Exchange Server deployment. An Exchange Server deployment will typically implement RAID (Redundant Array of Independent Disks) at the storage level in order to offer protection against localized disk hardware failures. Redundancy is important as the last thing an administrator wants is a failed hard disk drive (HDD) bringing the system down and forcing a scramble to initiate data recovery. You can read up more about RAID storage here1 and here2 (Wikipedia). While RAID is highly popular and effectively a de facto standard for data redundancy, do note that some have argued that RAID – first demonstrated in 1987, is anarchic and inflexible. For example, adding capacity to a RAID array typically requires the removal of the current array and defining the new set of HDDs and/or RAID level. Over the years, various vendors have implemented enhancements to the basic capabilities defined in RAID in their proprietary offerings. 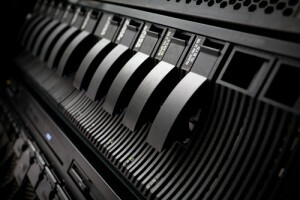 Moreover, pure software implementations have also appeared in the form of advanced file systems such as ZFS3 that directly organizes data across multiple storage devices; modern operation systems are also generally capable of performing software RAID in the absence of explicit hardware support. Relying on local disk storage with redundancy establishes a minimum baseline in terms of ensuring data survivability when a HDD fails. However, large-scale Exchange deployments necessitate the use of multiple servers to support the messaging needs of businesses, a direction that Microsoft encouraged with its introduction of five server roles in Exchange 20074. This is also exacerbated by the growing expectations of users; as well as the 25GB of storage per mailbox offered by Microsoft’s own Office 365 cloud-based solution. Suddenly, Exchange administrators find themselves grappling with servers of varying models and sporting different RAID hardware. Complicating matters would be how capacity requirements also differ depending on specific server roles. A centralized storage repository eases many of the headaches posed by limited local storage. Hosting all storage at a central location means that additional capacity can be easily added into a shared pool for provisioning as needed. Scalability aside, combing storage capacity in this manner is also decidedly more efficient than managing it on a per-server level, and makes for easier monitoring and detection of failed or problematic drives. Finally, the cost of Storage Area Network (SAN) hardware has declined steadily in price, while Network Attached Storage (NAS) have grown in sophistication and capabilities. This translates into smaller to mid-sized companies finally being able to centralize their storage, while lower costs at the top-end means that large enterprise will continue to do so. The typical option for businesses moving away from localized disk storage would be to deploy either a NAS or a SAN. Network attached storage, or NAS, is usually managed via a Web-interface, with its storage capacity shared by means of Ethernet networking. The advantage here is obvious: beyond the NAS appliance itself and the presence of a speedy network, there is no need to purchase any specialized hardware or interface cards. Indeed, the newest NAS hardware already offers up to 100TB in scalable storage and optional 10Gigabit Ethernet support. In line with the mainstream popularity of virtualization, modern NAS models also come certified for hypervisors from VMware, Citrix and Microsoft. A Storage Area Network, or SAN, provides access to a consolidated block level storage, and usually consists of high-performance HDDs for storage coupled with advanced capabilities such as storage replication across WAN links for near real-time data redundancy. They can be expensive however, and the use of fast Fiber Channel for connectivity will likely entail additional investments in the form of Fibre Channel switches. Ideal for large data center environments, a certain level of expertise in order to proper configure manage a SAN as compared to a NAS. Obviously, the decision between a NAS and a SAN is one made at the organizational level, though the Exchange Administrator will do well to be familiar with the strengths of each in order to make an appropriate recommendation. The line is blurring between them though, as some SAN comes with support for Fibre Channel over IP or iSCSI in order to extend SAN over IP networks, and NAS appliances increasingly incorporate iSCSI capability. Still widely used, one limitation of the humble tape drive would be how it pales in terms of speedy, high-volume data recovery compared to NAS and SAN options that currently exist today. While generally true when pitted against the latest high-capacity NAS and entry-level SANs, it is important to note that tape drives are generally not as anarchic as some may have perceived them to be. For example, LTO technology (LTO-5) allows for writing up to 140MB/s without compression – which is actually faster than the performance of a single HDD. In addition, another important angle to consider would be how tape offers the ability to back up data and take them offline. Tape cartridges can be transported to external locations for long-term safekeeping and to comply with retention and regulatory policies. This is also the reason why Google uses 50,000 LTO tape cartridges every quarter, which allowed the company to recover Gmail accounts affected by a data corruption bug earlier this year. I think most people, when they learn about what I do, are always shocked to learn about the continued prevalence of tape drives, but one can not simply discount the effectiveness of a reliable, long-lasting storage solution that can withstand a server crash. Maybe not the most practical or fast-acting in this day and age, but certainly not something that should be overlooked. When you get a buggy SAN or NAS solution, as was once the case with a company I worked for, this makes your life a living hell! I don’t remember what the thingy was called but I remember it was one of the cheapest and we experienced so much trouble with it and so frequent downtime, coupled with criticism from management, that half the team left just months after we moved to this advanced piece of ‘storage’. Don’t buy cheap, guys, this is the last thing to save money on!